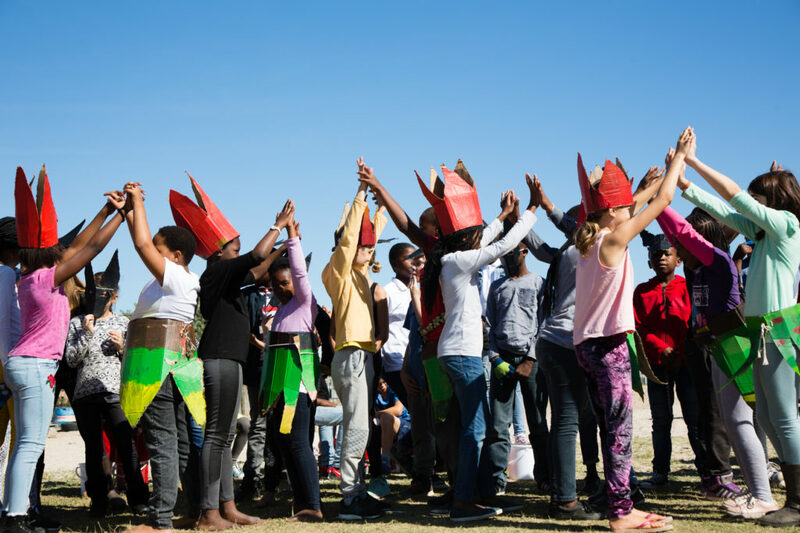 For the Harlequin Foundation’s eMzantsi carnival and community building project, Jungle Theatre Company has helped design, develop and implement five primary school twinning programmes. 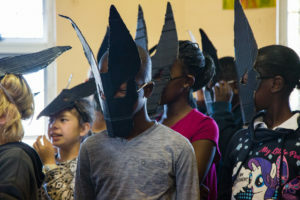 Children from two very different schools go through a carnival arts process together, learning in each others’ communities and building friendships across traditional cultural divides. Ntombifuthi Mkhasibe currently leads the creative process. In 2013, Jungle Theatre Company implemented an intercultural theatre programme for children from Muizenberg and Lavender Hill through the involvement of parents and the Village Care Centre. The programme resulted in two showcases, and received great support from local artists, who helped make it happen. Jungle Theatre Company instigated an intercultural programme for children from Constantia and Zenzeleni Waldorf Schools to learn theatre skills together in each other’s communities in 2012 and 2013. JTC continued this project in 2018 called Umanyano – The Collaboration. Artistic Director Vincent Meyburgh, kicked off the project by researching the links between Norse and isiXhosa mythology. He wrote a play based on a story by Credo Mutwa about the origins of Table Mountain. The masks were designed and proto types for each character were made. Ntombifuthi Mkhasibe and Seiso Qhola joined the process and choreographed dance movements and composed songs to teach the children. The project was completed by performing the same show for all the primary school children at Zenzeleni.